So, you think babies have an easy life? Think again. 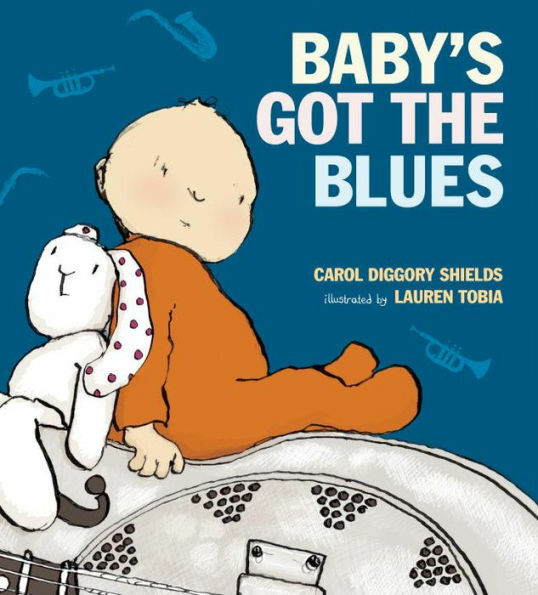 This baby will show you that life as a baby isn't all that it seems to be. First of all, if you're a baby, how are you supposed to tell someone you have a dirty diaper? Also, what if pizza or macaroni or beef stew look and smell delicious, but you can't eat any of them because you have no teeth? See, life ain't easy when you're a baby. 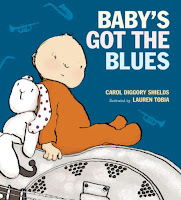 This delightful look at babyhood is made all the funnier with wonderful, rhyming, bluesy text and colorful, expressive illustrations. Fiona is very busy today. She has a presentation to do with Felix for show-and-tell. They made a volcano that get to show off. 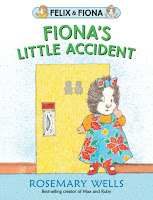 Fiona is so busy getting ready for school she doesn't have time to go to the bathroom. She didn't get a chance to go when she got to school because the bus was late. When she asked to go to the bathroom during class, it was being used, so she went back to class. By the time it was her and Felix's turn for show-and-tell, she really had to go. She had to go so badly that she had a "little accident" during the presentation. She was so embarrassed that she ran away and hid. 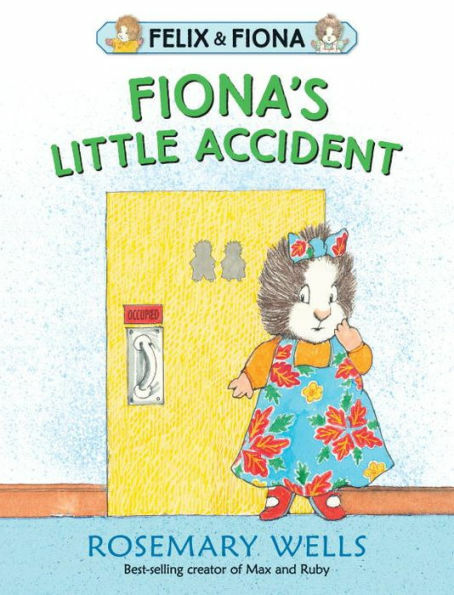 He friend, Felix, said that it was no big deal, but Fiona wasn't convinced. What could make the humiliation go away? In addition to providing a great little story that every little child can relate to, the end papers for the book provide pictorial directions for creating your own homemade volcano. Jameson loves his green pants. In fact, the only color pants you will find in his wardrobe are green. With his green pants on, Jameson can do anything. 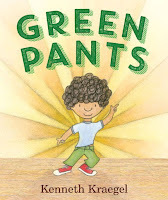 And, he simply refuses to wear any pants that aren't green. But, one day, he is asked to be in a wedding. He says "Yes" before he is told that he will have to wear a tuxedo - - with BLACK pants. Jameson really, really, really wants to be in the wedding, but he really, really, really doesn't want to wear black pants. But, if he wants to be in the wedding, he HAS to wear black pants. It's his choice, and it's a tough one to make. What will Jameson decide? 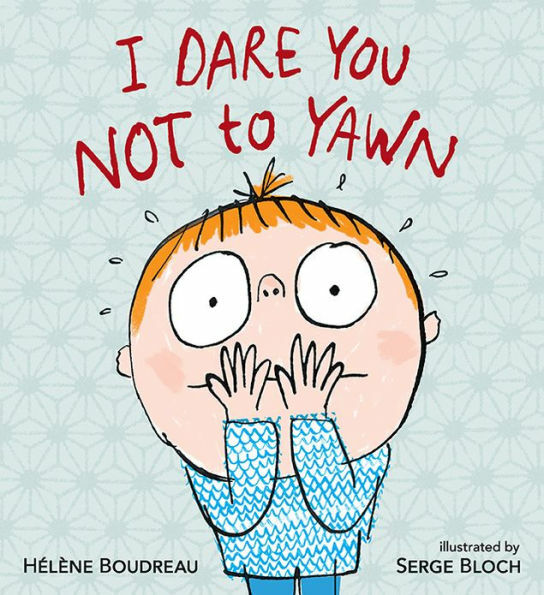 A young boy tries to stifle a yawn, but it gets away from him. His mom notices and whisks him off to bed. Problem is, he's not really all that tired. So, he has some advice for anyone who doesn't want to end up in bed. * Stay away from huggable stuffed animals. * Stay away from cozy pajamas. * Avoid bedtime stories about sleepy animals. All these things, and more, are sure to make you yawn and get you sent to bed. 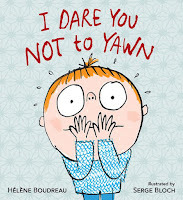 And, I'll bet you'll be yawning by the time you get to the end of this book, because like the book says, "Yawns are like colds. They spread." Nite, nite. 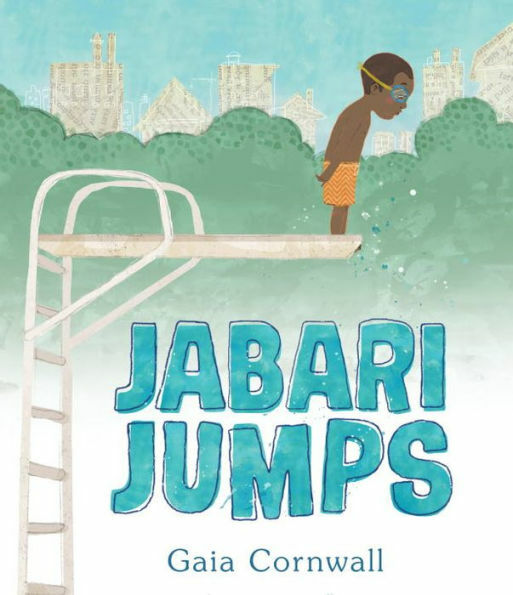 Jabari has finished his swimming lessons and he has passed his swimming test. Now, he's ready for the diving board. He knows he's a great jumper, so he tells himself he's not scared at all. He gets in line to climb the ladder to the big board. When it's his turn he starts climbing, up and up and up. Then, he stops. His dad asks him if he's okay. He says he is, but he's just a bit tired. "Maybe you should climb down and take a tiny rest," his dad suggests. So, Jabari does just that. Jabari keeps coming up with excuses for not jumping. His father tells him it's okay to feel a little scared. He says, "Sometimes, if I feel a little scared, I take a deep breath and tell myself I am ready." 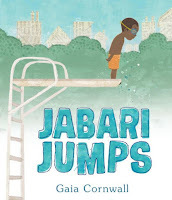 Jabari finally works up the courage to take the big jump the next day. 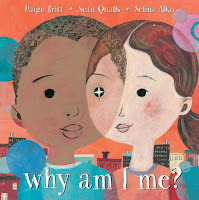 This is a great story that any kid can relate to. We all have fears; sometimes we just need a little extra encouragement to overcome them. NOTE: Several other books were suggested for today's lesson, but our library doesn't have copies of them, so I haven't read them. If I get a chance to read them, I will update this review list. Short, rhyming text, color illustrations, and the subject matter of hippo belly buttons make this a delightfully silly board book for babies. Lois Ehlert combines bright, vibrant colors, cut-outs and geometric shapes to create a one-of-a-kind book about colors, shapes, and animals. 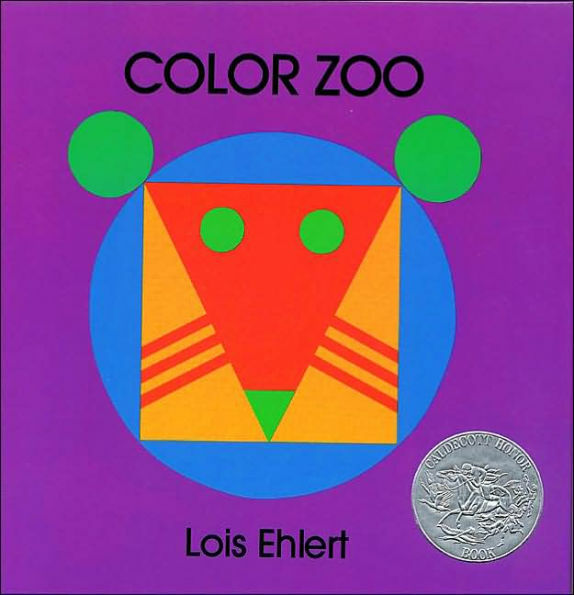 The geometric cut-outs are done in such a way as to illustrate the faces of nine different animals, using 10 different shapes and 16 different colors. This is sure to be a book that your young one will want to look at again and again. 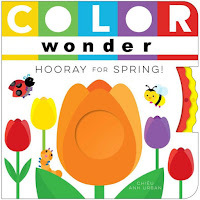 So begins this book about nature and the colors associated with spring - red ladybugs on red tulips, yellow bumblebees on yellow daffodils, etc. Two rotating wheels at the end of the book make this interactive as well as delightful. I am pink and short. and go, "Oink, oink, oink." Guess who? 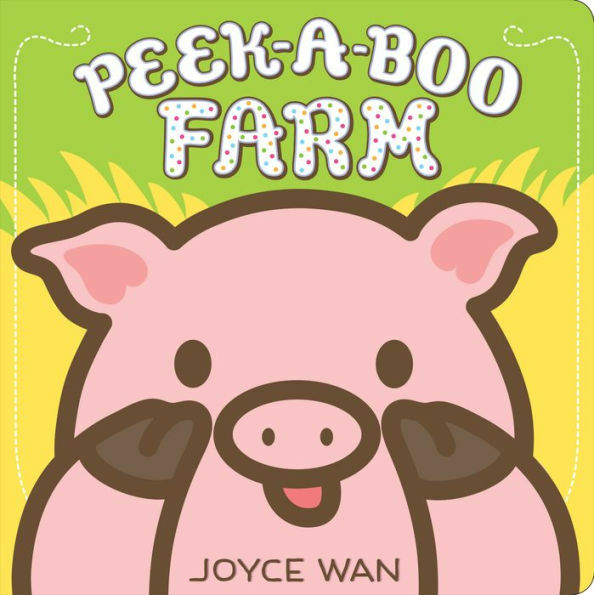 The reader then pulls a flap down to uncover the animal's face, along with this text: "Peek-a-boo! Pig." So begins this delightful little book about farm animals. 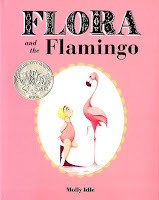 There are seven animals in all featured in this book. 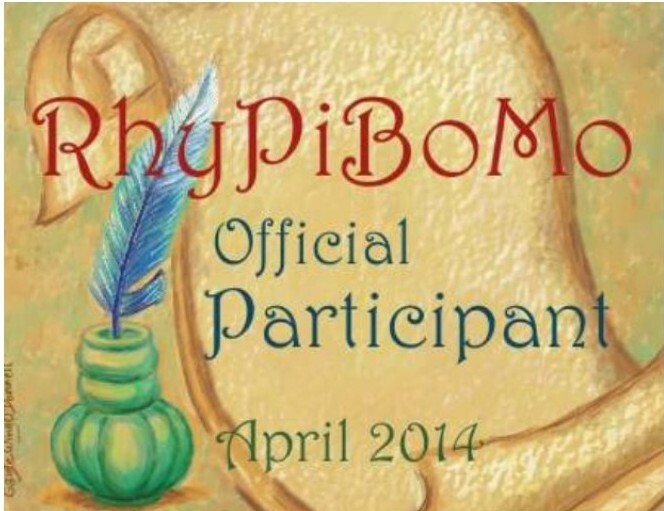 Each one starts with a rhyming description on one side of the page, with the flap on the other side of the page. This is sure to become a favorite for little ones. 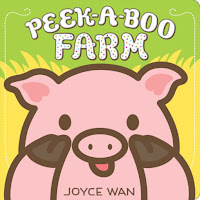 Although the titles are similar, this book is quite different than the PEEK-A-BOO FARM one. This one has cut-outs throughout the pages. The title of the book is PEEK-A MOO! and the cover is cut out to show a pair of eyes. 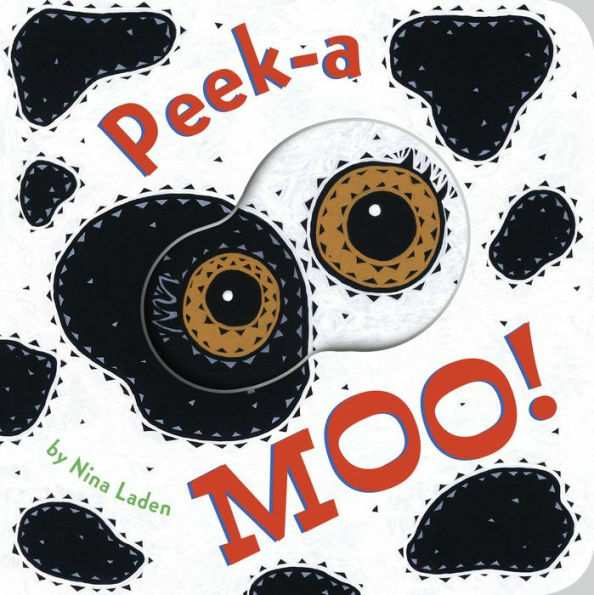 When the page is turned, a cow's face is revealed. The next cut-out shows a field of red with some green leaves. Turning the page reveals a tomato. Each cut-out is in the same shape in the same place, but each one reveals something completely different. There is a rhyme scheme, also, as the first text says "Peek a boo." The next one (for the tomato) says "Peek a grew." 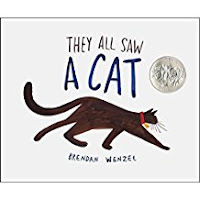 This is another book that is sure to become a favorite for little ones. This is a great book to teach little ones about where other babies live, like a baby bird and a baby deer. 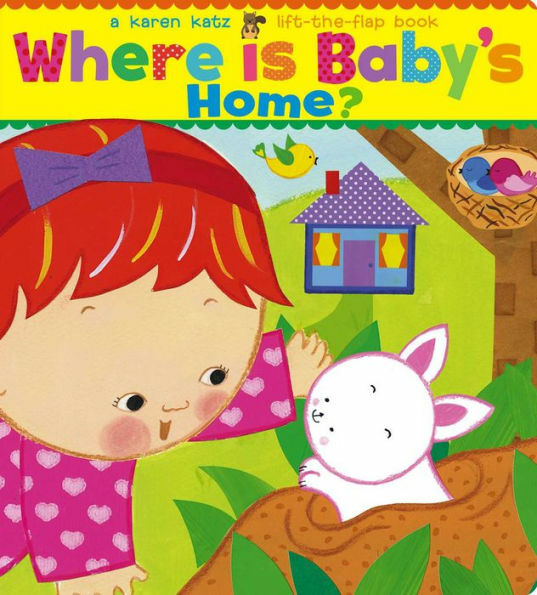 Each double-page spread asks a question, i.e, "Where is the baby bunny's home?" Then the reader lifts the flap to discover the answer. In this case, the answer is, "In the burrow." The colorful illustrations, fun laps, and interactive play are sure to make this book a favorite. 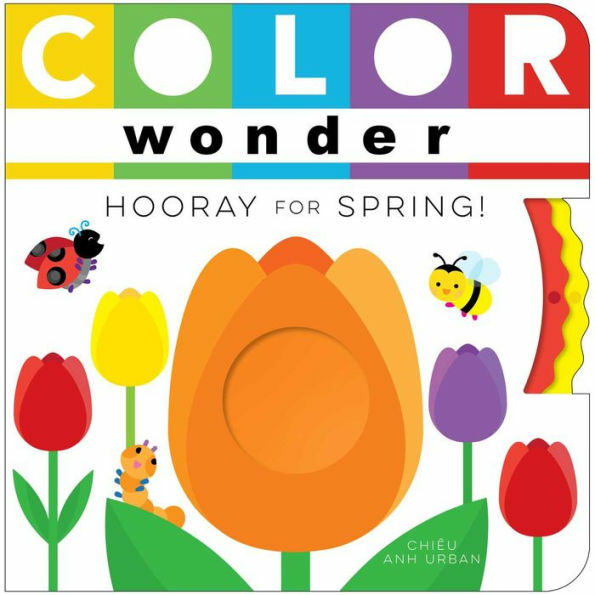 Labels: BELLY BUTTON BOOK, board books, book reviews, COLOR WONDER - HOORAY FOR SPRING, COLOR ZOO, PEEK-A MOO, PEEK-A-BOO FARM, ReFoReMo 2018, WHERE IS BABY'S HOME? 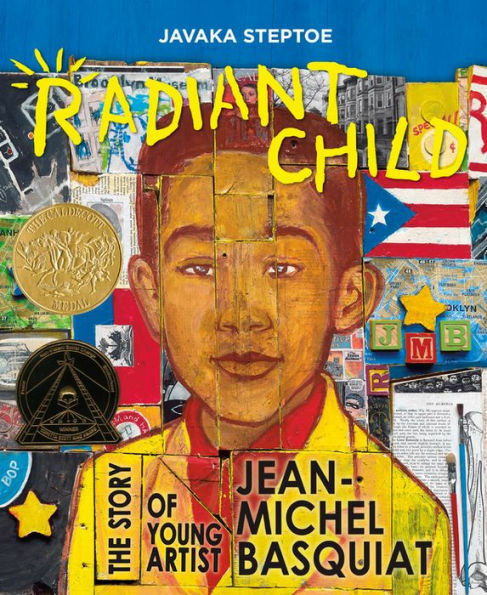 Artist Jean-Michel Basquiat became well-known for his collage-style paintings during the 1980s. But, before he found fame and glory, he spent his time creating art. His mother is a big influence on, and supporter of, his love for art. She brings him art books to read and look at, gets down on the floor and draws with him, takes him to art exhibits, and shows him that art is all around him. Jean-Michel decides to pursue his dream of being an artist. He leaves home when he is a teenager and goes to New York City. During the day, he stays with friends. At night, he roams the streets and sprays graffiti and writes poetry on downtown walls. Rather than get into trouble, his work catches the attention of the art galleries, when he is invited to have a show. He then goes on to become a well-known artist. Author Javaka Steptoe includes some additional information at the back of the book about Jean-Michel. This is a wonderfully creative way for an illustrator to show how artwork can take on a life of its own. She starts with a head that has two eyes, one bigger than the other. That was a mistake. So, she tries to correct her mistake by making the smaller eye bigger, but she makes it too big, so she adds a pair of glasses. The neck and arms are drawn next. When the neck ends up looking too long, she adds a high lace collar. And, so it continues, as we see how the artist can change a mistake into a great finished drawing. 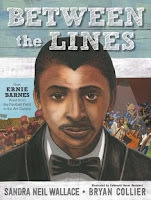 Ernie Barnes loved art from his childhood all the way through until his death. His mother nurtured his love for drawing and artwork, and his father nurtured his love for music. He didn't try out for his high school football team, but the football coach noticed his physique, and recruited him to the team, where he became a star player. From there, he went on to play in the American football League. But Ernie's real love was art. When he wasn't actually on the field playing, he would sit on the sidelines and sketch what was happening on the field. 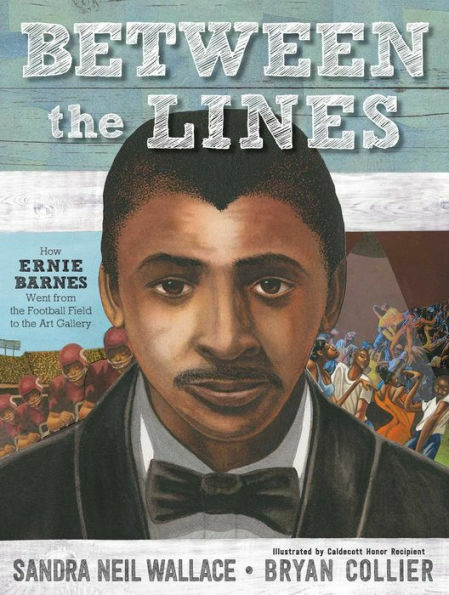 He didn't really want to play football, but as a young black man in the segregated South, he didn't think he could make a living with his artwork. After the last game of the 1964 season, Ernie quick the game. He didn't have any money, but he had an idea. Over the years he had produced dozens of drawings and paintings, many of them football-related. He decided to pitch his idea at a meeting for the owners of the AFL. He told them he wanted to "become the Official Artist for the American Football League." And, he did. His paintings now hang in museums in such places as Philadelphia, Los Angeles, New York and Washington, DC. Sam starts drawing a picture of a velociraptor on the wall. 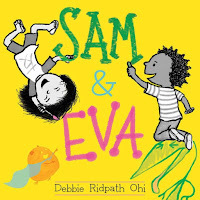 Eva wants to draw, too, but Sam doesn't want her to join him. The two "battle" it out with markers, each drawing something to counteract what the other drew. Eva draws a marmot to balance out Sam's velociraptor. Sam doesn't like the marmot, so he has his velociraptor try to eat the marmot. Eva draws a big friend to protect the marmot. And, so it continues until Eva gets frustrated and doesn't want to draw anymore. Sam discovers it might not be so much fun to draw by himself. 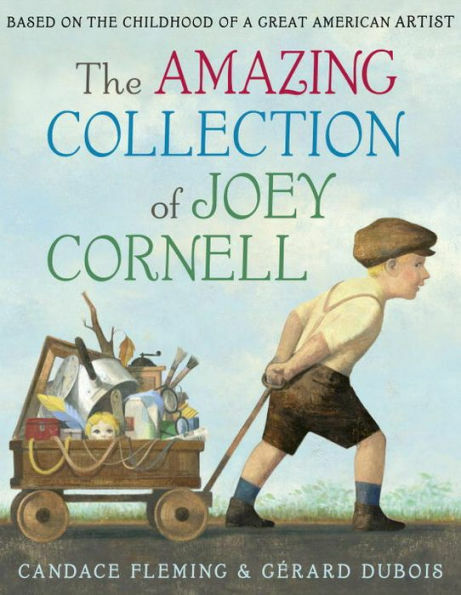 Joseph Cornell became known for his ability to turn ordinary objects into wonderful creations. Author Candace Fleming tells Cornell's story by showing the reader how he started collecting things when he was a young boy. His motto was, "If I like it, I keep it." He liked many, many different things, and they kept piling up. When they would no longer fit into his room, he was given space in the barn for his collections. After the collection grew and grew and grew, he started putting some of the things together to create new things. After a while, he had a whole new collection. He then opened the barn to show his family what he had done. That led to his career as an artist. Alex receives a book for his birthday called "Birthday Bunny." Alex thinks the book he received is silly and sappy. 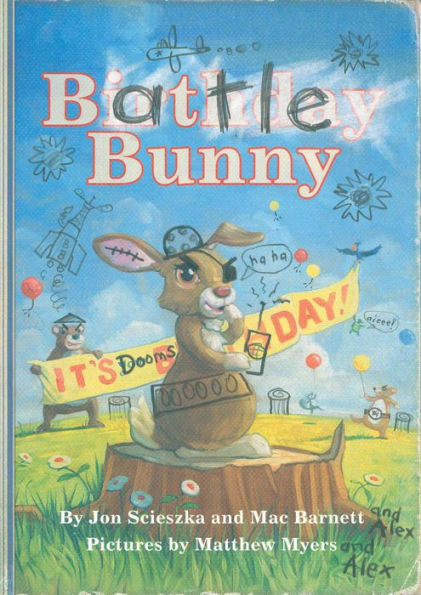 He uses a pencil and turns the birthday bunny story into a story called "Battle Bunny." He crosses out words and letters from the text and fills them in with his own text. He also draws cartoon sketches to illustrate his new story. Here's a small sampling of how the story has been changed. Here is the original story: "Birthday Bunny made himself his favorite breakfast: carrot juice and a bowl of Carrot Crispies. 'My birthday is the most special day of the year because I get super birthday present from all my friends.'" Here's how Alex has changed the original story: "Battle Bunny made himself his favorite breakfast: brain juice and a bowl of Greasy Guts. 'My birthday is the most special day of the year because I get super birthday powers over all my enemies.'" The story continues in this matter throughout. I must say this is one of the most creative ways I've ever seen a story told. It's like two stories in one. You can almost see Alex scratching out words and writing in his own to make the story go the way he wants. It's delightful fun. This book has no words but it certainly tells a story. 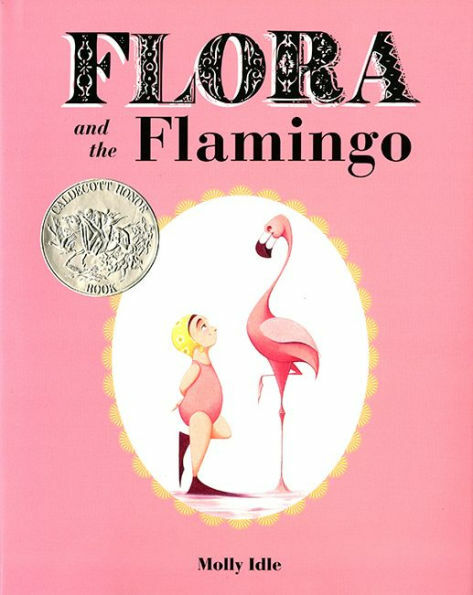 The wonderfully expressive illustrations by Molly Idle, along with some interactive flaps along the way, tell the story of Flora as she makes friends with a flamingo. Adam's parents got him a stuffed koala bear. Adam doesn't like it. He thinks it is creepy. He tries to get rid of it, but somehow, the bear keeps turning back up. 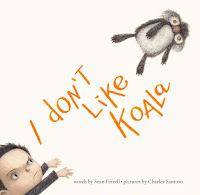 He tries everything he can think of because he just doesn't like koala. Will anything happen to change his mind? What a delightful book. On the first page is a yellow dot, just like the one on the cover. 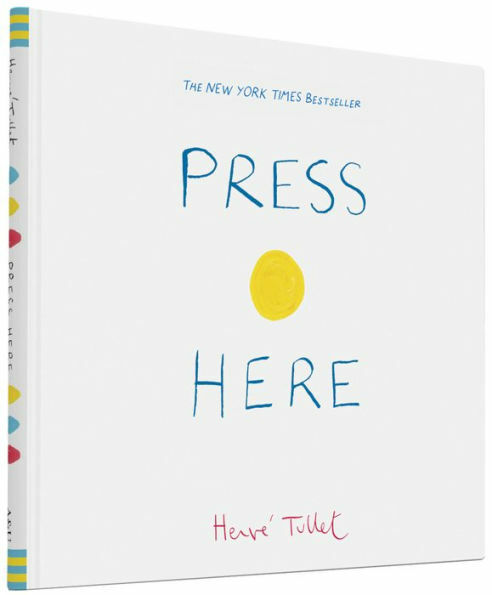 The reader is instructed to "Press here and turn the page." 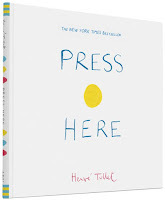 Of course, young children will press the yellow dot and then turn the page. When they do....they'll find a page with two yellow dots. They'll wonder how that happened and they will be anxious to keep going and find out what happens next. Like I said, what a delightful book. 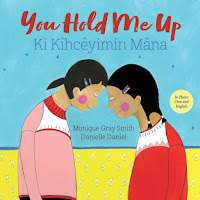 I can see kids asking to go through this book time and time again. It's time for bed, but the little ninjas are not tired. They're slipping and sliding and swinging out of bed. Can Daddy and the sensei get them to settle down? This is an adorable counting book. 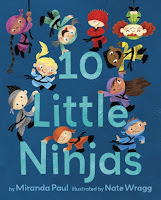 Instead of going from 10 little ninjas to 9 little ninjas to 8 little ninjas, etc., author Miranda Paul has changed things up a bit. 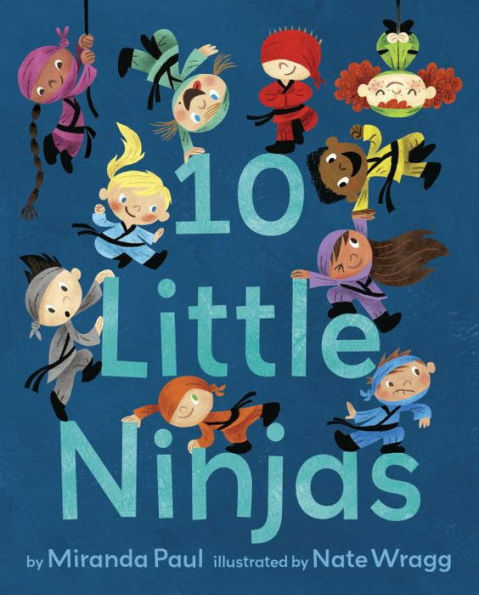 After the first little ninja gets tucked into bed, then their are 9 little astronauts and then 8 little race car drivers, etc. Kids will enjoy the many different antics of these boisterous kiddies as mom and dad tried to get them all into bed. Mei Mei spends the morning with Grandpa (Gong Gong). Grandpa is practicing his Tai Chi. Mei Mei wants to learn. Grandpa shows her some basic moves. She struggles some with the moves, but she doesn't give up. She manages to make them work her way. When they're done with Tai Chi, Mei Mei suggests they do Yoga together. Mei Mei show Grandpa some basic moves. Grandpa struggles some with the moves, but he doesn't give up. He manages to make them work for him. Together, they have a wonderful morning, spending time together and sharing their interests. This is a touching story of how the young can teach the old and the old can teach the young. 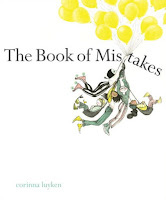 At the end of the boo, author Sylvia Liu includes instructions for the for Tai Chi and the four Yoga positions mentioned in the text. 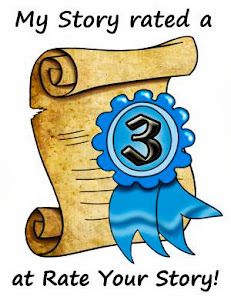 She also adds a list of Author's Sources for additional reading. Fancy-stepping Bagel loves to dance. It makes him "happier than a birthday cake." He wants to enter the Cherry Jubilee, a couples only dance contest, but he can't find a dance partner. Pretzel won't dance with him because she says his moves "don't cut the mustard." Croissant says his steps "are stale." Doughnut's eyes just glazed over when he asked her to dance. Will Bagel be able to find a dance partner in time. 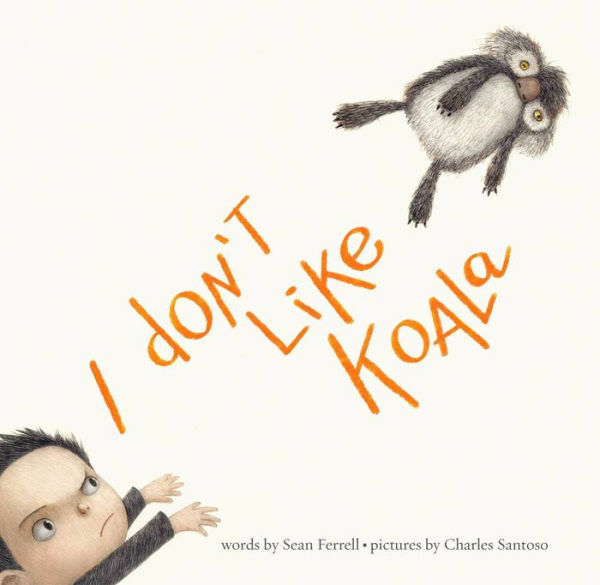 This is such a clever book, filled with sweet puns and sugary-sweet illustrations. They make the perfect recipe for a book that totally takes the cake. A little girl is at school when her classmate, Tanisha, spills grape juice on her dress. Everyone else in the class laughs, but not this little girl. Her mother has taught her to be kind. So she tells Tanisha that purple is her favorite color. She thought that would make Tanisha feel better, but it didn't. During art class, while the little girl is painting a bunch of violets, she's thinking about what it really means to be kind. Is it giving cooking to your neighbor who lives alone? Is it giving your brother the shoes you've outgrown? It is helping with the laundry? The little girl realizes these are all ways to be kind. She also realizes she can't undo Tanisha's paint mess on her dress, but she can paint a pretty picture for her because they both like purple. And, maybe it will make Tanisha feel a little better. She also realizes that what she can do to be kind are just small things. But, if everyone does something small to be kind, then "together, they could grow into something big." Gaston has three sisters, but he doesn't look anything like them. They and his mother all look like poodles, but Gaston looks like a bull dog. Despite the way he looks, Gaston has been taught to mind his manners like any well-bred poodle would. One day when Gaston's mother takes her brood to the park, they meet a mother with four children, all of which look like bull dogs, except for one, Antoinette. Antoinette looks like a poodle. But, she has been raised with her bull dog brothers so she has the manners of a bull dog, which are a far cry from those of the dainty poodles. When the two mother dogs meet in the park, and they notice that each of them has a child that looks more like the other mother, they realize that some how the babies were switched: the poodle mom raised one of the bull dog pups and the bull dog mom raised one of the poodle pups. The moms decide to switch the pups so they can be with their real mothers. The decision looks like the right one, but is it? A young girl takes a walk through the woods and to town during a late summer morning, noticing things along the way. She says "Hello" to the trees and the foxes and the blue jays and other things in the woods. Each return her greeting and tell how they are preparing for the upcoming winter. In town she says hello to the breezy wind. It answers by telling her it's time to bring out "thick sweaters and scarves." 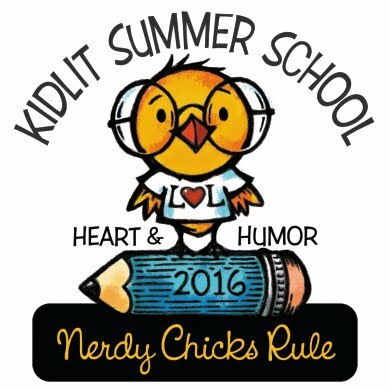 When she returns to her house, she says, "Goodbye, summer." The next day she says, "Hello, autumn." What should you do if your monster refuses to go to bed? "Don't ask your parents for help. They know a lot about putting kids to bed, but nothing about putting monsters to bed. It's not their fault; they're just not good at it." In order to know what to do, you are advised to read this book. * Do not bring in your dog to cuddle. That will cause a problem between your dog and your monster. * Don't do the Monster Stomp. The Monster Stomp should be reserved for daytime fun. * Don't let you monster count sheep...because he will want to eat them. In order to get your monster to go to bed, you should follow the six steps outlined in this book. I'm not going to tell you what they are; you will have to read the book and find out for yourself. Mira loved to draw, paint and color. She turned blank pieces of paper into colorful art. Then she gave away her artwork to people she met around her neighborhood. She even posted some of her art on the walls around her. One day, she met an artist who said he painted on walls. He invited her to join him to paint a mural. As they painted, more people joined in. Soon, the whole neighborhood was involved and the gray walls around Mira's neighborhood were filled with color and life. Mira is a fictional character but the story is based on the real-life events of Rafael and Candice Lopez who transformed the East Village in Sand Diego, California from a drab landscape into a vibrant, colorful one. The book is illustrated by Rafael Lopez, the artist mentioned in the end of the book. Yoomi and her two siblings are at Grandma's house for lunch. Yoomi loves the seaweed, anchovies, egg omelet, and bean sprouts Grandma gives her to eat. But she refuses to eat her kimchi. She says it is stinky and spicy. Her siblings eat theirs and then taunt her by calling her a baby because she would eat hers. After lunch, her siblings won't let her play with them because the game they are playing is "not for babies." Yoomi doesn't want to be treated like a baby, but she really, really doesn't link kimchi. What can she do? The end papers of the book are filled with pictures of Korean foods. There is a page in the back of the book that explains what kimchi. There is also a recipe for Kimchi Pancakes readers might like to try. 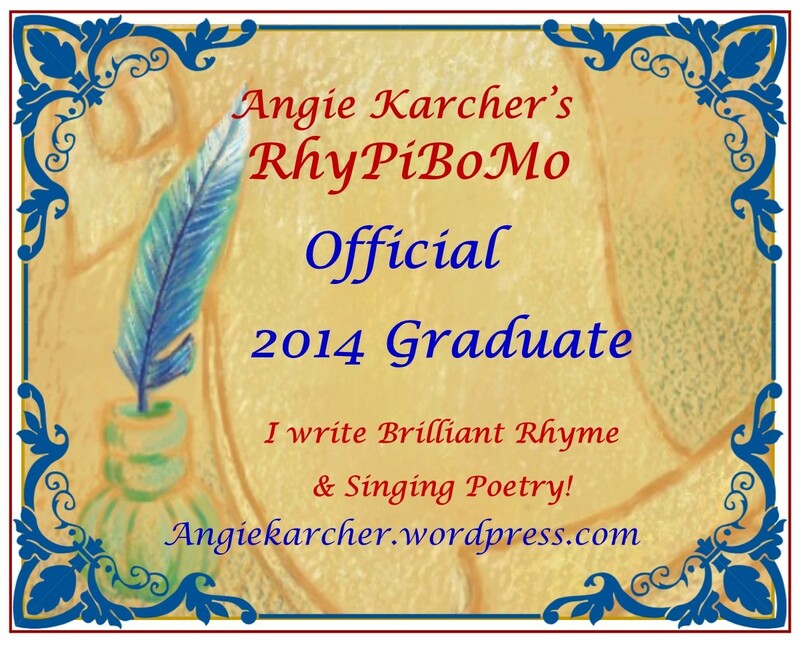 Rosco was "the heavyweight champ of 17 Parkwood Avenue...." until the baby came to live. Now, Rosco has to compete with a cute, cuddly baby for attention, and Rosco is losing the fight. Rosco and the baby sparred with each other for months, with the baby always winning the fight. Until one day, when they are both very tired, they curl up together to sleep. They discover they like being together. All is well until....the twins come along! 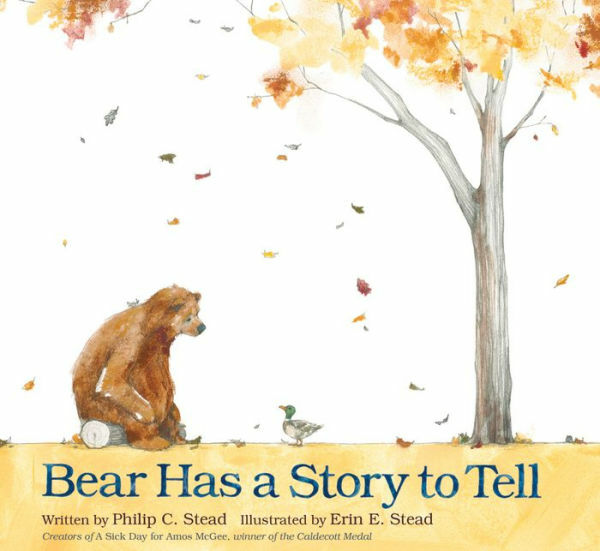 Bear is sleepy, but before settling down for his long winter's nap he has a story he wants to tell. He finds Mouse and asks him if he would like to listen to a story. But, Mouse is too busy gathering seeds for the upcoming winter. Mouse says he will listen to the story in the spring. Then Bear asks Duck and Frog, but each of them are preparing for the long winter ahead. Unable to find a listener, and unable to stay awake any longer, Bear falls asleep. What will happen when he awakes in the spring? 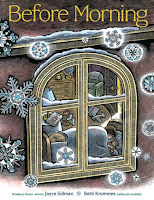 Before going to bed, a young boy prays for snow. When he wakes up, his prayer has been granted, and his harsh world has been transformed by a soft blanket of snow. This isn't your typical story about a boy making a wish or saying a prayer. Rather is it more of a visual telling of the transformation from a cold, hard world to a cold but soft one. I counted just 66 words in all. 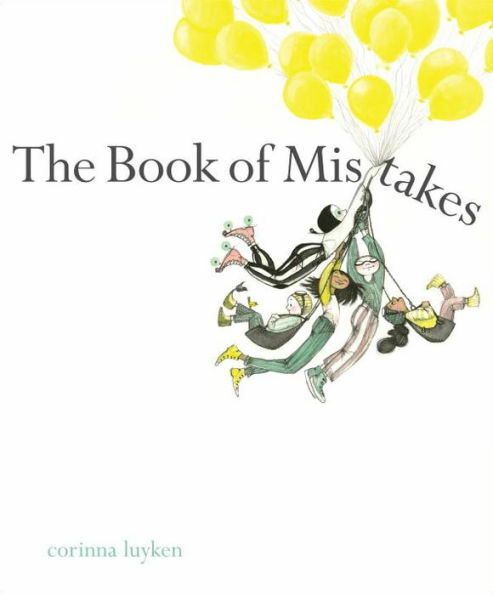 The book begins with four pages with not text at all and ends with two pages of no text. 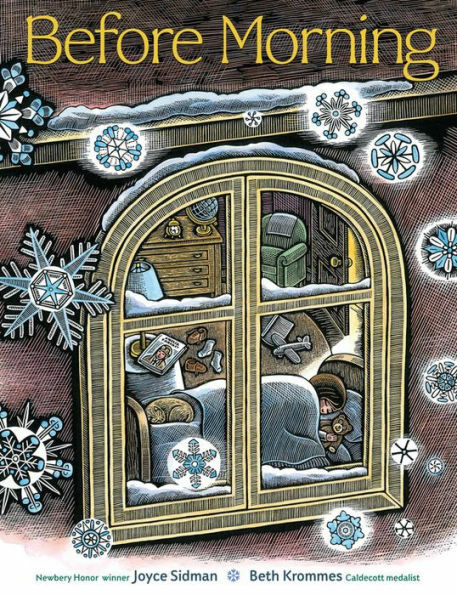 The writing is poetic and the illustrations are magical. 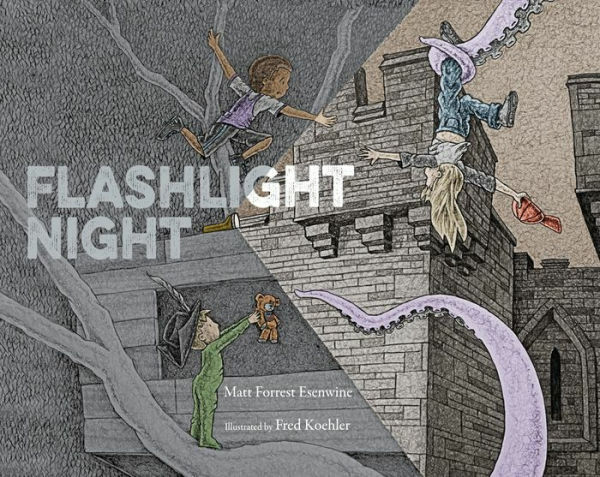 A short rhyming text by Mat Forrest Esenwine and delightfully spooky illustrations by Fred Koehler combine for a look at how much of an adventure it can be to read an adventurous tale by the light of a flashlight. 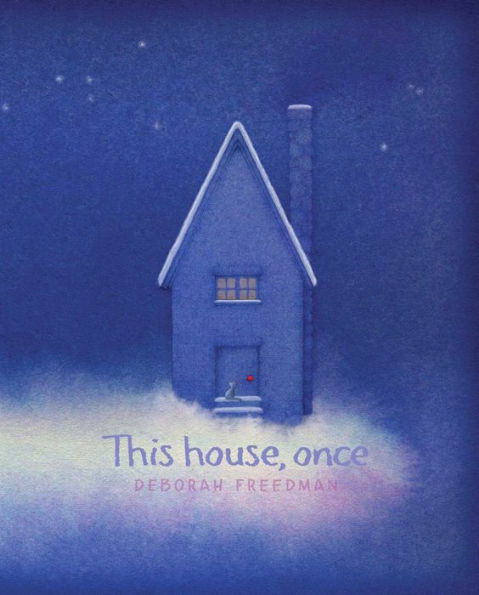 With just over 100 words, beautifully expressive illustrations, author/illustrator Deborah Freedman tells readers how things that were once other things, or that were once in other places, have been changed and moved to build that house. For instance, the door for the house was once a mighty oak, and the stones foundation around the house were buried under the ground. She goes on to describe the brick walls, the windows and the roof. Kids will learn a bit about home construction that they probably never knew. At the end of the book, Freedman tells her readers that her house in New England is similar to the one described in the book. Then she asks: "Where do you live? What was your home, once?" This provides a great springboard for discussion about where people live, what type of house they live in, and what their house is made of. 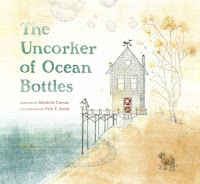 The Uncorker of Ocean Bottles lives alone at the top of a hill. He has a very important job, that of opening bottles that have been dropped into the sea and delivering the messages found in those bottles. His job is very rewarding, as he loves delivering otherwise lost messages to their recipients, and he travels far and wide making sure all the messages are delivered. But, one day, he finds a message that isn't addressed to anyone. It is simply a party invitation. It says: "I'm not sure you'll get this in time, but I am having a party. Tomorrow, evening tide, at the seashore. Will you please come?" Not sure what to do, he travels through the village where he lives and asks each person if they had put the invitation in the bottle of if they might know anything about it. No one knows what it's about. 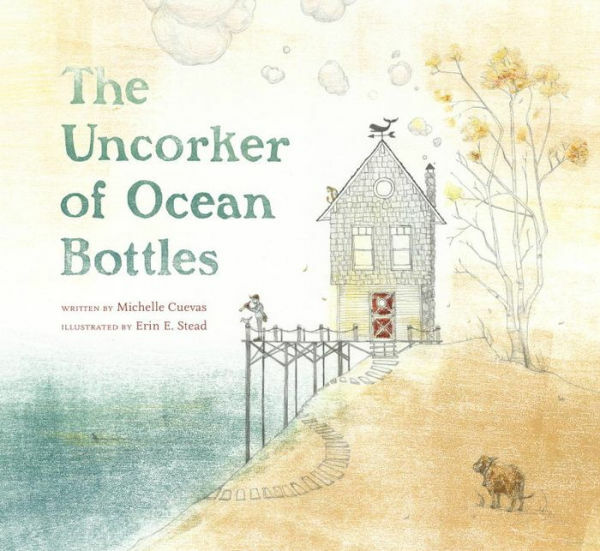 The Uncorker of Ocean Bottles decides to go to the seashore the next evening, just to see what happens. The ending is very sweet and satisfying. 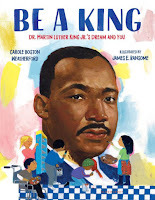 Author Carole Boston Weatherford encourages readers to "be a king." One way, she says is to, "stamp out hatred. Put your foot down and walk tall." 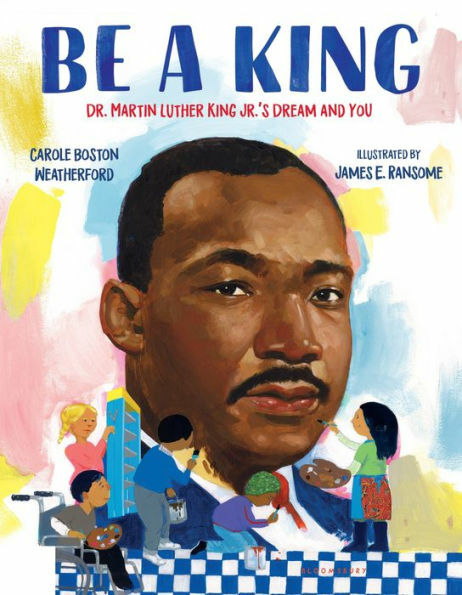 The author uses words and phrases from King's life and shows young readers how they can be like King, they can "Be a King" by doing the things that Martin Luther King did. You don't have to have superpowers to be a hero. 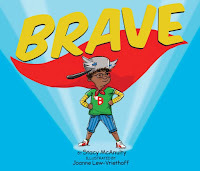 You can "save the world, just by being brave." Author Stacy McAnulty shows readers how they can change their worlds by being brave in the face of adversity. They can try new things, confront bullies and stand up for what they think is right. 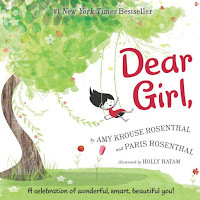 Written like short letters to a girl, each two-page spread begins, "Dear Girl." 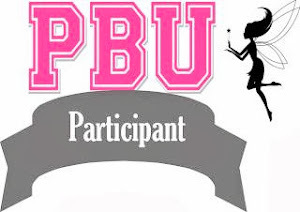 The letters are encouraging notes to a girl to help her in her everyday activities. For instance, one letter reads: "Dear Girl, Make your room awesome. Make your room you. And while you're at it, make your bed!" 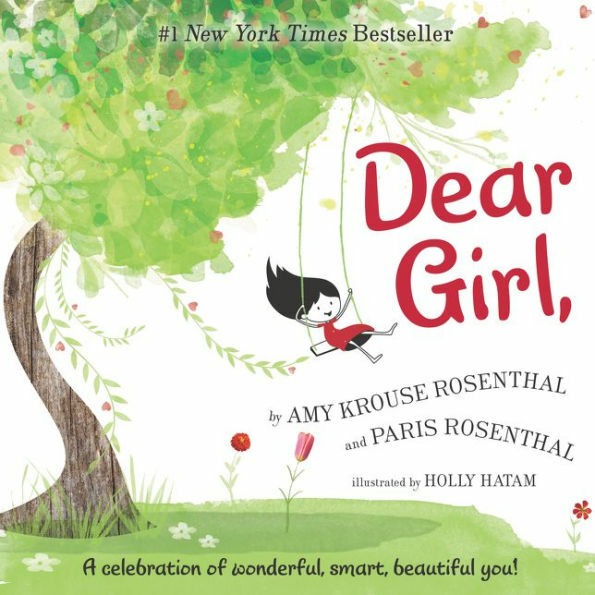 This is the kind of book that any young girl could relate to and it is the perfect gift, for any occasion, for mothers, big sisters and others to give to their "dear" girls. For all of us, no matter how big we end up, we all start the same way: "Life begins small, then grows..." This is a touching book about life, the good things and the bad things. 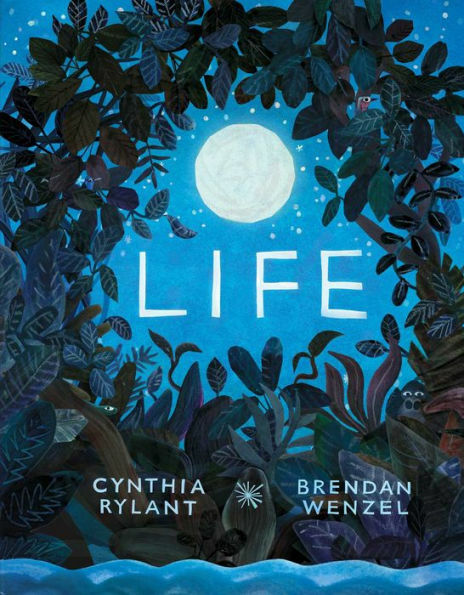 Author Cynthia Rylant uses thought-provoking sentences to make the reader think about their life: "Life is not always easy." And, "there is always a new road to take." 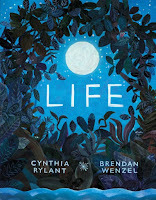 Brendan Wenzel illustrates the book beautifully with nature scenes that greatly enhance the text. A young girl gets a baby duck for a pet, and as the baby duck grows up, the young girl learns what love really is. 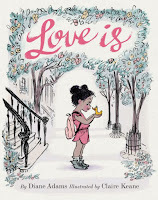 The book starts out with this line, "Love is holding something fragile, tiny wings and downy head." The story progresses as the baby duck grows up and "leaves the nest." The young girl goes through all the stages of love with her baby duck that parents do with their human babies. 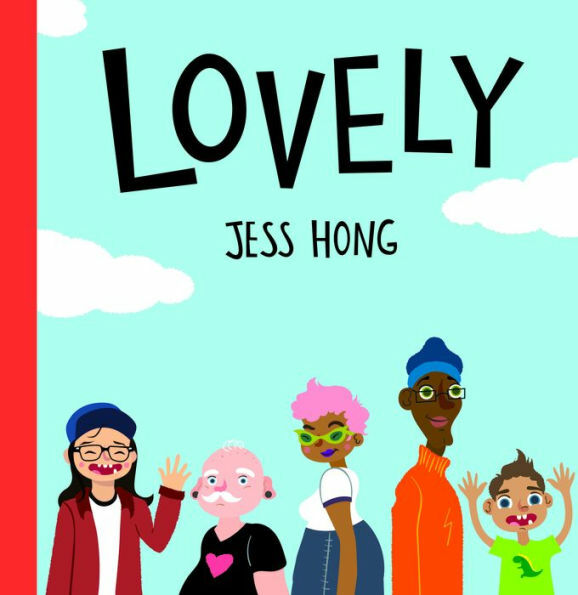 No matter what we look like, whether we are big or tall, we have curly or straight hair, we are young or old, we are ALL lovely in our own way. This book celebrates the idea that "most people" are good people, that they want to be kind and helpful. Yes, there are some bad people in the world, but if "you line up all the people who want to be good and all the people who want to be bad, the good line would stretch from here to the tallest mountain. All the people in the bad line could crowd together in a dark and gloomy room." A muffin or a peach. A trip to the beach." 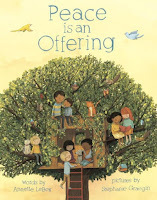 So begins this lovely book about being a community and being good neighbors and finding love - and peace - in the everyday things around you. 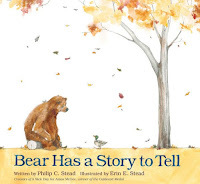 The lyrical verse and softly shaded illustrations combine to make a beautiful book for all to enjoy. 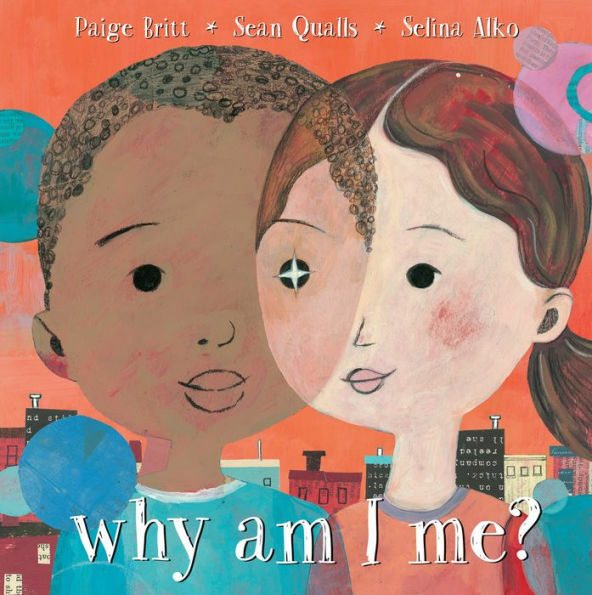 Two characters ask the same question: "Why am I me?" Then they explore the answers separately until they come together in the end. The idea is that there is no you or me, just an us and we, that we are all human and we need to show compassion and love for each other. "You hold me up when you are kind to me, when you share with me, when you learn with me." 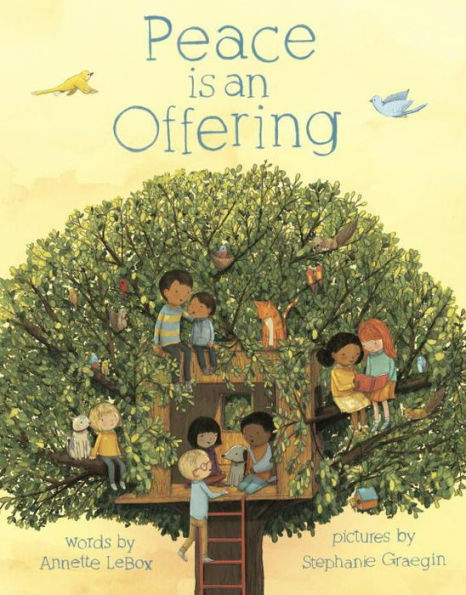 So begins this touching book giving children examples of simple ways to show their love and support for each other. Just six sentences and 68 words, paired with colorful, expressive text, create a picture book that is worth sharing. 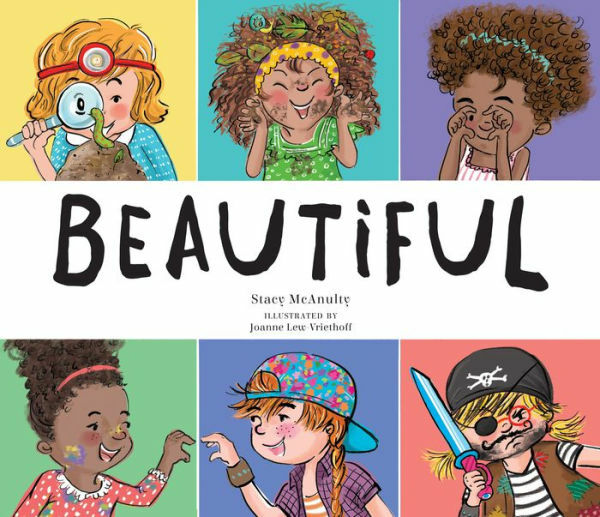 With just 71 words and an abundance of wonderful illustrations, this book celebrates girls and what makes them beautiful. It's not how they look; it's about how they act and how they accept challenges. 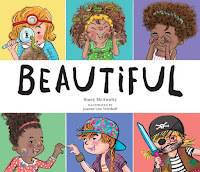 The illustrations show that it's okay for girls to be messy, to enjoy science and to just be themselves. So, you think you know all about opposites, right? Like the opposite of yes is no and the opposite of asleep is awake. 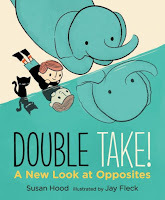 But, this book takes the subject of opposites to a whole new level. It discusses (and shows in the illustrations) concepts like point of view and perspective. 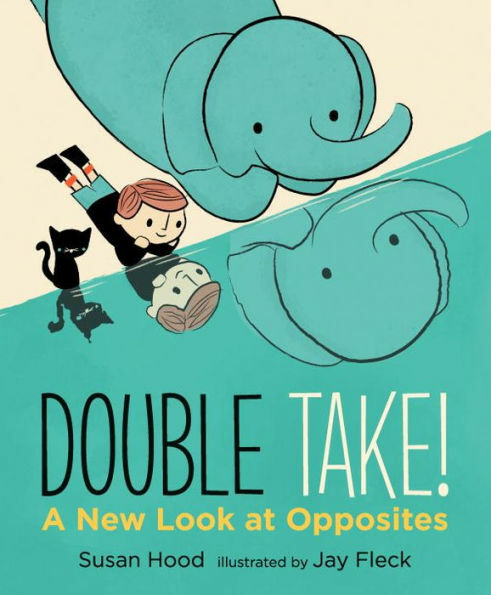 Its rhyming text and lively illustrations ensure that kids will enjoy learning more about opposites than they had probably ever considered. The girl in this book is small. She rates her size in accordance to the world around her. The first sentence of the book is "The city is big and I am small." 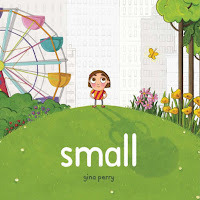 She points out ways that show that she is small in relation to the world around her. But, then she discovers ways to feel big - by flying through the air on a swing and making big chalk drawings on the sidewalk and seeing the world from the top of a ferris wheel. She might be little in stature but she is also big and strong in other ways. They ALL saw a cat: a child, a dog, a fox, a fish, a mouse, a bee, a bird, a flea, a snake, a skunk, a worm, and a bat. But, each one saw the cat a bit differently. 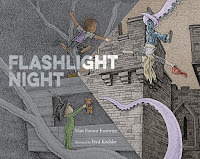 This is a great book about perception and imagination. We can each see the same thing, but we probably won't see it the same way. Before going to bed, a young boy heads out for a walk around is neighborhood. He sees the windows in the houses and other buildings in his neighborhood, catching glimpses of their nightly routines - brushing their teeth, fixing dinner, watching television, etc. When the young boy returns home from his walk, he sees his mother waving to him through the window in his house. 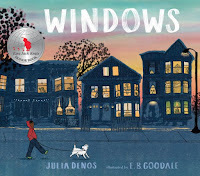 Author Julio Denos and illustrator E.B. 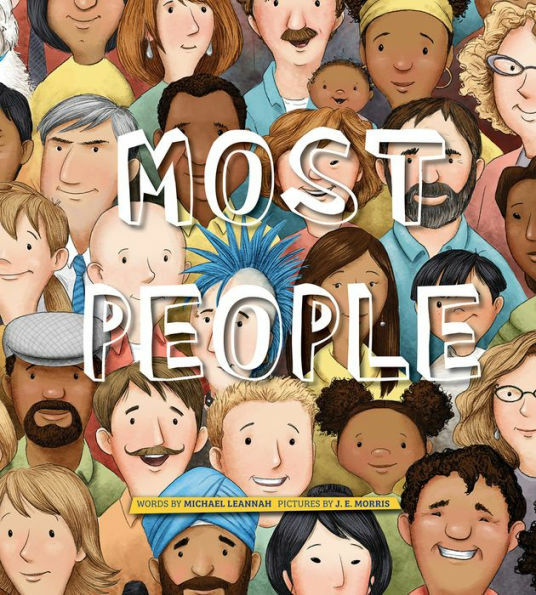 Goodale have put together a book that offers an unique glimpse into the windows of people's lives.